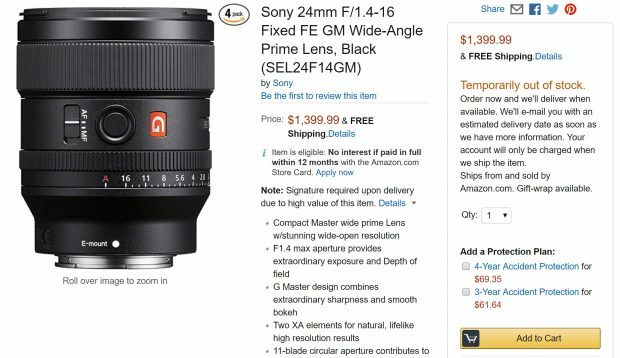 Sony FE 24mm f/1.4 GM Lens now Already Available for Pre-order at Amazon ! Update: Page has been removed. Hot ! The new announced Sony FE 24mm f/1.4 GM lens now already available for pre-order at Amazon US. The US price for this lens is $1,399, shipping in October, 2018. Sony RX0 now Available for Pre-order ! Next Next post: Sony a7 III Body now Back In Stock at Adorama !